TEHRAN, Iran -- Iran’s president on Tuesday ordered officials to draw up plans to build nuclear-powered ships and to show how the United States violated last year’s nuclear deal, a response to a vote by the U.S. Congress to extend some sanctions on the country. The move by President Hassan Rouhani came in response to the extension of the Iran Sanctions Act, and was widely seen as posturing that would not affect the landmark nuclear deal concluded with world powers. The sanctions act awaits President Barack Obama’s signature to become law, and comes amid speculation over how President-elect Donald Trump, a critic of the nuclear deal, will address the issue when he assumes office next month. Rouhani’s letter, read aloud on state television and published by the official IRNA news agency, gave Ali Akbar Salehi of Iran’s Atomic Energy Organization three months to come up with a plan for nuclear-powered ships and producing fuel for them. A separate letter ordered Foreign Minister Mohammad Javad Zarif to “follow up on the U.S. violations” of the nuclear deal. Rouhani “said the measures were warranted in light of the United States’ foot-dragging in fulfilling its commitments under the multilateral nuclear deal ... and the recent ratification of anti-Iran legislation in the U.S. Congress,” state television reported. The U.S. bill, first passed by Congress in 1996 and renewed several times since then, allows America to impose economic sanctions on companies for doing business with Iran. It’s drawn anger from Iran, which wrote to the United Nations over it and held a high-level meeting last week over how to respond. The White House has described the bill as unnecessary but said it didn’t violate the international accord signed by six world powers and Iran. Obama is expected to sign it into law ahead of the inauguration of Trump, who has vowed to renegotiate the Iran deal without offering specifics. 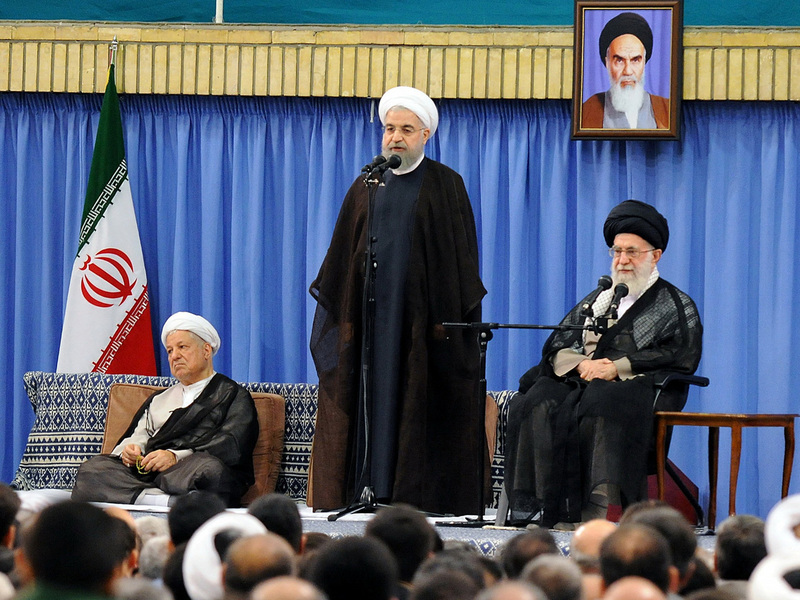 Rouhani’s letter did not elaborate on what use the country had for nuclear-powered ships. However, the technology is predominantly used in military applications, like in submarines and aircraft carriers. In June 2012, an Iranian admiral was reported as saying the country had begun to design its first nuclear submarine, though the project never came to fruition. Iran has no aircraft carriers, but operates a fleet of conventionally powered Russian and locally made submarines. Iran’s move toward nuclear-powered ships appears to be permitted under the nuclear deal, depending on the type of fuel used, said David Mortlock, who once served as director of international economic affairs at the White House National Security Council. “Essentially, the deal does not prevent this from happening so long as the nuclear work is done in a particular way, so long as it is transparent and so long as it doesn’t cross any lines,” Mortlock said.